Writer Sidonie-Gabrielle Colette, also known as Colette, wrote over thirty novels in her lifetime. The enigmatic Colette is the most accomplished French female writer of her time, and her life and loves off the page are just as entrancing as her books. Born in 1873, Colette grew up in the French countryside before marrying Henry Gauthier-Villars (Willy) and moving to Paris. As a ghostwriter for Willy, Colette wrote the Claudine novels, books about a young French woman and her exploits, that captivated Europe. Colette was bisexual, a fact known by Willy, with whom she shared an open marriage. 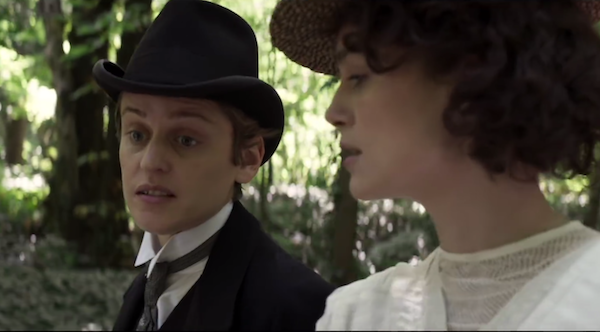 In the new film, Colette, directed by Wash Westmoreland, audiences get a peek into the life of Colette, her triumphs and heartbreaks. Keira Knightley stars as Colette and brings the perfect amount of brains and bravery to the role. We watch her transform from shy country girl to a bold and breathtaking woman of the world. When Willy (the always excellent Dominic West) reveals that his business is about to go belly up, he convinces Colette to write about her school days. The first book, Claudine à l’école, was a huge hit and created a sensation in France. While Colette toils away writing about Claudine, Willy gets to take in all the glory, something that Colette grows to resent. What she also resents are Willy’s many indiscretions, which eventually lead to the couple opening up their marriage. Colette realizes she’s also attracted to women, a fact that the film Colette doesn’t use to a salacious effect, but rather as a way to authentically portray Colette’s multitudes. One of Colette’s great loves is a gender-nonconforming noble person named Mathilde de Morny, or Missy, to friends. Missy (Denise Gough) wears menswear and sports a short haircut, and Missy’s status allows an amount of freedom that would be unthinkable for other gender-nonconforming people of the time. Missy remains a mystery to many historians, who refer to the marquis with female pronouns, although Colette uses both in the film. Gough is a standout in the film. As Missy, she projects a quiet elegance and charm, and it’s easy to see why Colette was drawn to Missy. While Colette had many lovers over the years, Missy gets the most attention in Colette. In real life, as in the film, Missy and Colette took to the stage together and performed a simulated love scene and kiss, which caused a riot in the theatre and was halted by police. If you like period pieces, you’ll love this turn of the 20th-century exploration. The costumes, the scenery, it’s all on point. Knightley was born to perform in period pieces and she manages to bring an authenticity to every role. 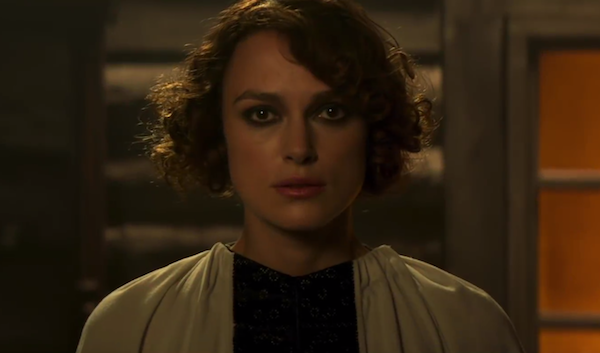 As Colette, we get to see a more mature version of Knightley, something she has greatly earned over the years. Colette’s queerness is part of what makes her such a fascinating historical figure, but it was her spirit and perseverance that made her a legend. Colette is now playing in select cities and will open everywhere on October 12th.